Lebon has shot Frank before for Calvin Klein’s Fall 2016 global campaign. 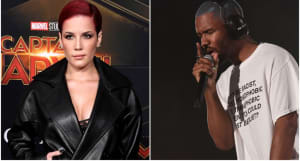 Just several days after the release of his visual album Endless, Frank Ocean surprised fans again early Saturday morning with the video for previously unreleased track, "Nikes." The song may be the first single from Ocean's upcoming album, which might drop any moment now. The "Nikes" visual is a mesmerizing collection of references, symbols, and guest appearances that follow the song's wayward narrative. 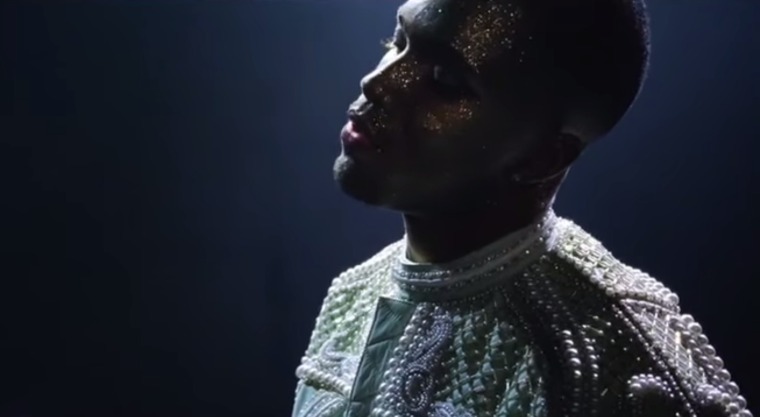 Featuring bodies drenched in glitter, holy entities, expensive cars, and Trayvon Martin tributes, "Nikes" is a gorgeous and grainy representation of the rabbit hole in Frank's mind. Confirmed by London production company Somesuch, the mastermind behind the video is director Tyrone Lebon. In a statement to The FADER, Lebon explained that Frank's vibrant songwriting made it easy to conceptualize the corresponding visuals. "I interpreted the song as a stream of Frank’s consciousness - rich with snippets of stories, emotions and ideas," Lebon says. "The visuals came immediately when I first heard the song - they all follow from the music and Frank’s lyrics." The London-based filmmaker began experimenting with film photography when he was just a teenager. At age 18, his first documentary aired on MTV. Ever since, Lebon has been bringing his sun-washed film aesthetic to the fashion world, shooting campaigns for clients such as Louis Vuitton, Supreme, and Nike. Most recently, Lebon shot for Calvin Klein's Fall 2016 global campaign, featuring artists and models such as Kate Moss, Young Thug, and of course, our dear Frank Ocean. Last year, Lebon also photographed Willow Smith for her i-D cover story. Also, "Nikes" is not Lebon's first music video. Lebon has also worked closely with English electronic duo Mount Kimbie, providing for the visuals for many of their songs including "Carbonated," "Before I Move Off," and "Would Know." On top of that impressive resume, Lebon is also the founder and creative director of London photography gallery, DoBeDo. Currently, Lebon is working on a short film and book on contemporary photographers entitled Reely and Truly, which is slated to be released in 2017. The work is a follow up to Lebon's Nothing Lasts Forever portraiture book. Watch the 30 minute cut of Reely and Truly below.